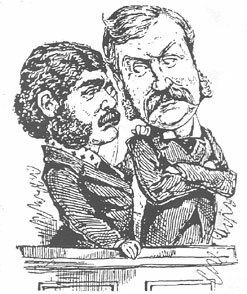 Premiering "The Topsy Turvy World of Gilbert & Sullivan"
Gilbert and Sullivan collaborated on 14 operas in the 25 year period from 1871 to 1896. These 14 operas constitute the most frequently performed series in history. 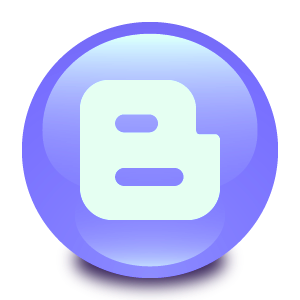 They are still being performed regularly throughout the English speaking world. Gilbert, who wrote the words, created fanciful "topsy-turvy" worlds for these operas, where each absurdity is taken to its logical conclusion—fairies rub elbows with British lords, flirting is a capital offence, gondoliers ascend to the monarchy, and pirates turn out to be noblemen who have gone wrong. Sullivan, six years Gilbert's junior, composed the music, contributing memorable melodies that could convey both humor and pathos. 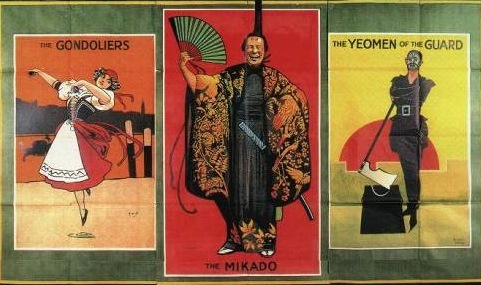 The collaboration introduced innovations in content and form that directly influenced the development of musical theatre through the 20th century. The operas have also influenced political discourse, literature, film and television and have been widely parodied and pastiched by humorists. We celebrate the work of Gilbert & Sullivan in a unique and special new performance that is dedicated to the memories of Scott Withrow, Ted Tuttle, and the Ocean State Light Opera (OSLO), long a popular staple in Rhode Island's musical scene. The newly formed Flickers Chamber Music Ensemble, under the artistic directorship of Eric R. Bronner, features original OSLO cast members including Bronner; Mary Beth Kim, soprano/co-director; Roberta Janelle, mezzo-soprano; Gabriel Alfieri, baritone; Edgar Edwards, patter baritone; with Melissa Jacobson, piano/musical director. The revue includes music from Pirates, Pinafore, Mikado, Patience, Yeomen, Iolanthe, Ruddigore, and Gondoliers. Act I, “What’s it all about?” presents favorite selections that introduce the typical G&S character types and the variety of G&S musical styles. Act II takes its inspiration from Anna Russell’s “How to Write Your Own Gilbert and Sullivan Operetta” in a new work called “Mix ‘n Match (or a New Gilbert & Sullivan Operetta made from 95% recycled materials),” compiled from the G&S and written by Eric Bronner and Mary Beth Kim with additions by Roberta Janelle. The event's premiere took place at the historic Bell Street Chapel, 5 Bell Street, Providence on Saturday, April 4th. The program is available for booking at your venue and makes an ideal fundraising opportunity while fun for the entire family! Call us at 401.861.4445 for booking information and rates. • Flickers debut of its newly formed Flickers Chamber Music Ensemble took place at the Bell Street Chapel, Providence, Saturday April 4, 7:30 p.m.
• The Community Concert Series at St. Michael’s Episcopal Church, Bristol, Saturday April 18, 8:00 p.m.
• Tiverton Community Chorus with guest soloists from the Flickers Chamber Music Ensemble, St. Theresa’s Church, Tiverton, Sunday April 19, 4:00 p.m.
• Tiverton Community Chorus with guest soloists from the Flickers Chamber Music Ensemble, St. John’s, Westport, MA, Saturday April 25, 7:30 p.m.
Gabriel Alfieri, baritone, is delighted to return to Gilbert and Sullivan repertoire. His previous G&S roles include Pish-Tush in The Mikado and Council in Trial by Jury. 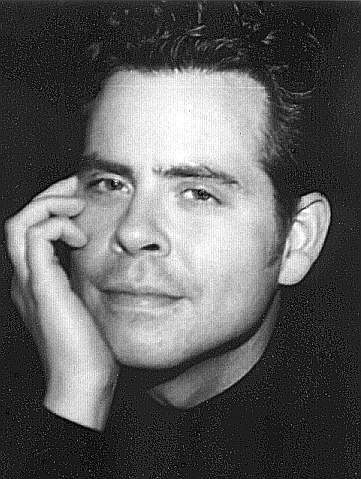 He has performed with Trinity Repertory Company, Boston Lyric Opera, Opera Providence, New England Light Opera, Ocean State Light Opera, Opera by the Bay, Longwood Opera, Alias Stage Theater, and Boston's Vox Consort. He has been a featured soloist with the New Bedford Choral Society, Masterworks Chorale Summer Sings, South County Chamber Singers, Gordon College Chorus & Orchestra, and the New England Conservatory Chorus & Sinfonietta in Jordan Hall. He has also been heard in recital at the Newport Music Festival, at Steinway Hall in New York City, and on the Steinway-Haus International Recital Series in Vienna, Austria. He has had articles published in the NATS Journal of Singing and Classical Singer magazine. A member of the voice faculty at Providence College, Mr. Alfieri is currently pursuing a Masters Degree at New England Conservatory of Music in Boston. 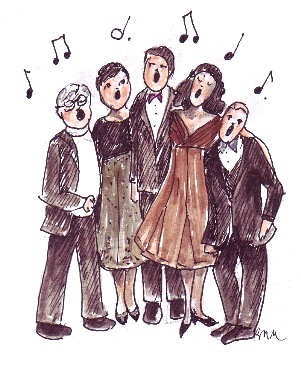 Eric R. Bronner, artistic director/tenor of Riverside, RI, is a long-time G&S veteran. For the past several seasons, he performed with First Coast Opera (St. Augustine, FL) singing Frederick (Pirates), Ralph (Pinafore), Nanki-Poo (Mikado), and Defendant (Trial). With Ocean State Light Opera he performed Fairfax (Yeomen), and Grosvenor (Patience). He has appeared as a soloist at the Aldeburgh Music Festival in England, and roles nationally at Townsend Opera (Modesto, CA), the Napa (CA) Zarzuela Festival, and as a guest artist at several mid-western and southern colleges. His performances have aired on NPR, PBS, and the BBC. 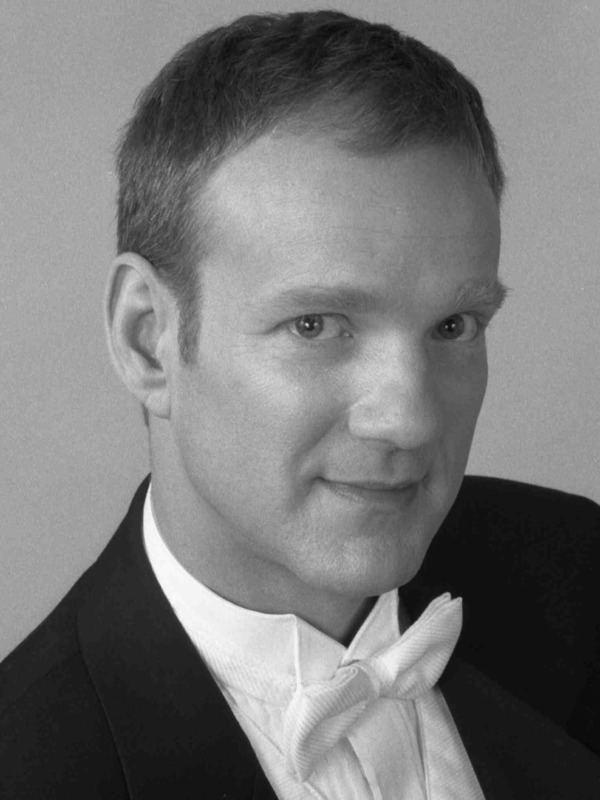 He performs regularly with American Classics (Boston), Opera Providence, Longfellow Chamber Opera (Cambridge), and has sung many roles with Longwood Opera (Boston), and as a soloist with the Newport Baroque Orchestra, and the Providence Singers. Press reviews include “terrific” - St. Augustine Record (FL), “impressive” - Stockton Record (CA), “a clear tenor voice that beautifully sailed with ease” - Providence Journal, and “deft comic acting” - Boston Globe. Opera roles include Tamino (Flute), Ferrando (Cosi), Pedrillo (Seraglio), Alfred (Fledermaus), among others, in addition to many oratorio solos. He serves on the university faculties of Roger Williams and Salve Regina. He earned his M.M. on scholarship from Longy School of Music (Cambridge), a B.A. in Theatre from Purdue University, an M.S. in Journalism from Ohio University, and studied on scholarship at the Britten-Pears School for Advanced Musical Studies in England. He is a two-time recipient of the RI Foundation Arts Education Award. He has had three articles published in the NATS Journal of Singing. He served many years as musical director of Flickers Arts Collaborative in Newport. With the trio “Music for a While,” he co-founded/directed the Jamestown Chamber Music Series for six seasons. He currently serves as artistic director/founder of the newly formed Flickers Chamber MusiEnsemble. 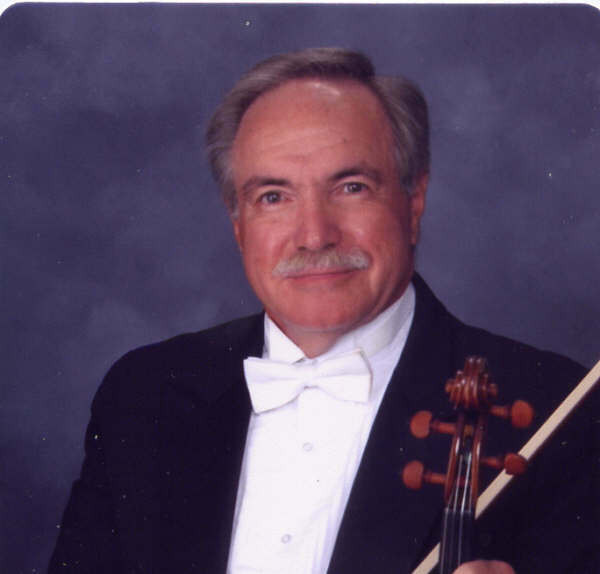 Edgar E. Edwards, of Warwick, RI, is a violinist, baritone, conductor, and music teacher. He was a leading baritone with the Ocean State Light Opera and the Court House Opera Companies. His favorite G&S roles are Captain Corcoran (HMS Pinafore), Old Adam (Ruddigore) and Mikado (The Mikado). Mr. Edwards is a retired RI Philharmonic Orchestra violinist, serving for some 36 years, with 6 as orchestral librarian. He also was a member of the Warwick Musical Theatre Orchestra, playing for many well know performers, as well as the RI Civic Chorale Orchestra. He has performed throughout New England in solo violin recitals, playing classical as well as Cape Breton Fiddle Music. He holds a Master of Music Degree in Voice from the New England Conservatory of Music and was a music teacher in the public schools of East Greenwich for 24 years. Melissa Jacobson, musical director/pianist, a native Canadian, is a professional classical pianist and singer. Her extensive performing experience includes musical theatre, opera, oratorio, classical and commercial. Ms. Jacobson is a busy performer and adjudicator around the world. She studied classical piano through the Royal Conservatory of Music and continued her piano and vocal studies at Northern State University in Aberdeen, South Dakota. She was transplanted to Rhode Island for the Musical Director’s position at the Astors’ Beechwood Mansion in Newport (2004 – 2007). 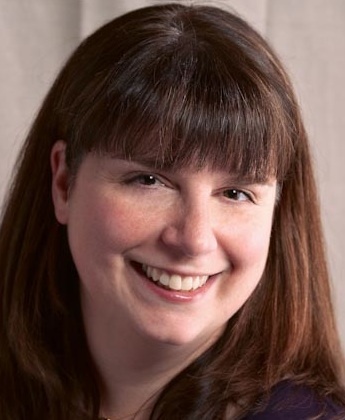 She is currently adjunct faculty for the Salve Regina University Music Department, a hired professional accompanist, and a private piano and voice instructor. Roberta Janelle, mezzo-soprano, is a native of Rhode Island and a graduate of The Hartt School of Music. Her first Gilbert and Sullivan role was Lady Saphir in Patience with the Cabot Street Players. The same season that Cabot Street Players gave its final performance, Ocean State Light Opera formed to carry on its tradition of Gilbert and Sullivan. 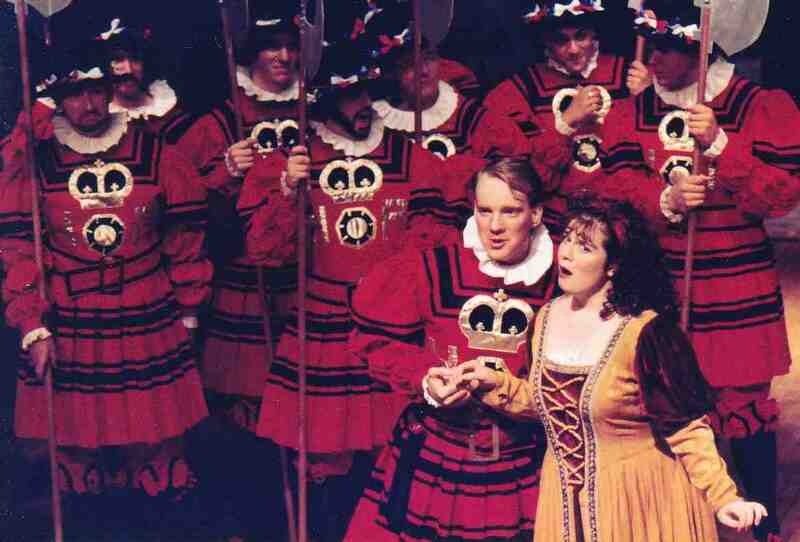 Several years later, when Ocean State “Light” Opera became Ocean State “Lyric” Opera, Ms. Janelle performed the role of the Dutchess in The Gondoliers. She has also sung the roles of Tessa in The Gondoliers, Mrs. Partlett in The Sorcerer, Pitti-Sing in The Mikado, and Edith in The Pirates of Penzance. She has performed with the Bostonians, Boston Academy of Music and the Boston Lyric, Salisbury Lyric, and Longwood Opera Companies. Some of her classical roles include Anezka in Smetana’s Two Widows, Smeton in Donizetti’s Anna Bolena, and Frugola in Puccini’s Il Tabarro. Ms. Janelle has also been featured soloist with the Newton Symphony, the New Philharmonia Orchestra, the Fine Arts Chorale, the Waterbury Chorale, and the Providence Singers. 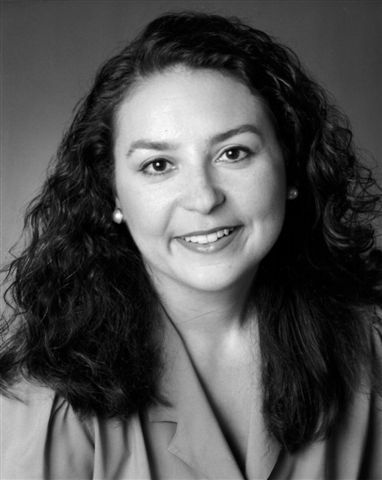 Roberta is chair of the voice department at The Rhode Island Philharmonic Music School and an adjunct professor of voice at Salve Regina University. Mary Beth Kim, soprano, co-director, from Pawtucket, RI, has extensive G&S experience performing many of the mezzo and the soprano roles for Ocean State Light Opera (OSLO) and New Bedford Festival Theater. These include: Phoebe (Yeomen), Lady Jane (Patience), Ruth (Pirates), Mad Margaret (Ruddigore), Phyllis (Iolanthe), Constance (Sorcerer), and Yum-Yum (Mikado). Other roles for OSLO included Ida (Die Fledermaus) and “Madame” Bouncer (Cox & Box). She sang in numerous OSLO tours to the Newport Maritime Arts Festival (Pirates, Ruddigore), Martha’s Vineyard (Mikado), and Wolfboro, NH, (Iolanthe, Pirates). She also performed Mabel (Pirates) in the inaugural season of OSLO’s Opera-Tunity program. In addition to performing with, she also directed productions for OSLO including Sister Angelica, Amahl and the Night Visitors (asst. director), and First Night G&S Revues. Her music theater credits include Amalia Balash (She Loves Me), and Nimue/Morgan le Fey (Camelot). She has also sung The Grouch in Dr. Seuss’ Green Eggs and Ham (Bradford College Concert Series) and toured with the Perishable Theatre Shows for Young Audiences. With an English Literature degree from Brown University, she studied private voice with Mark Pearson at the New England Conservatory of Music, and with famed tenor Richard Cassily at Boston University. In addition to singing for our audience, she loves singing for her two young children, Oliver and Gracie, who both think she’s entirely too loud. WHERE & WHEN: Book this program for your organization, please call 401.861-4445. HOW MUCH: Call us for booking rates 401.861-4445. WHY: To celebrate the original Ocean State Light Opera (OSLO), its founders and its artists! Monies raised by this program will support high school and college students to study film and media arts. 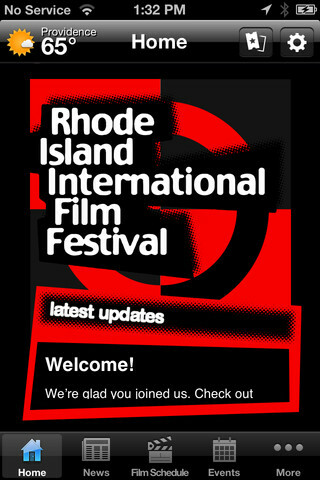 RIIFF is a 501-C(3) non-profit organization. Contributions are tax deductible as allowed by law. Richard Corso and Don Laliberte and the Bell Street Chapel, for their enthusiastic welcome of our venture. And of course, Ted Tuttle and Scott Withrow for creating OSLO and giving those of us who participated years of loving memories.